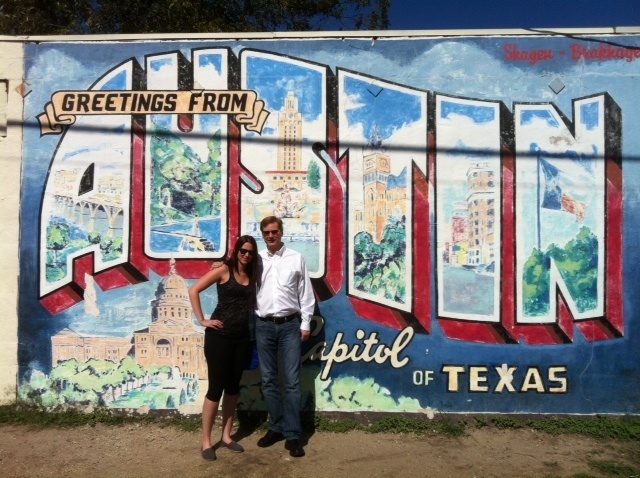 Last week I headed to Austin for a business trip and a little bit of fun. As it gets closer to the half marathon date my weekly mileage is creeping upwards and the long runs are of course getting longer. I was gone Thursday to Sunday and I usually do two runs and one weight lifting session during those days. After my last trip I knew I needed to be smarter with my planning and make sure I get the workouts in. Totally felt like a baller. My own DRIVER! It’s like I’m a real grown up with a big girl job (I guess it’s time to admit I’m 27 and not 21 anymore). I made one mistake on the flight. I really should have eaten a snack or lunch. By the time we got to the hotel and put our stuff away I was HANGRY (aka as hungry angry). Whenever I don’t eat quick enough a migraine starts to form. I definitely didn’t feel great. 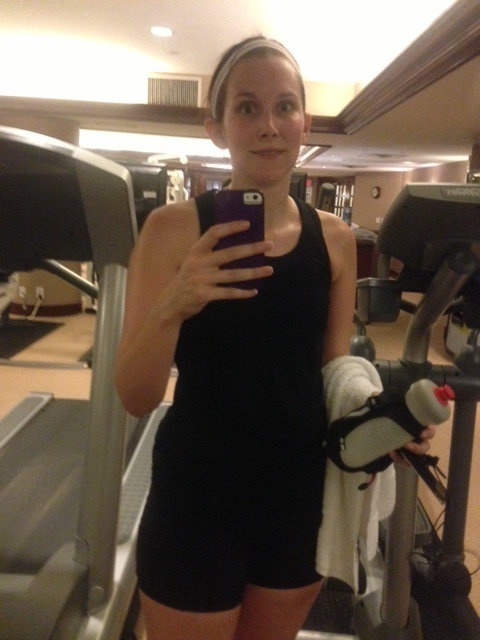 After lunch I did a little bit of work and then went down to the hotel gym to get in a run. My head was pounding at this point but I wanted to get a run in. I had 5 miles planned and ended up doing 3. I’m glad I just did something, it didn’t fix my migraine of course but I got it done. We had an awesome dinner that night at La Condesa. It was high end tex mex. I really should have taken pictures but that just wasn’t happening. I also started to feel better about midway through the cocktail reception. I met some cool people on this trip. It was nice to get to know more people on the client side of the industry. It wasn’t like other conferences where you’re getting sales pitches the whole time. The conference started the next morning at 8:15 am, luckily we were an hour behind Atlanta time so it was just like going to work 🙂 The conference was great and only went until 2:30 pm. 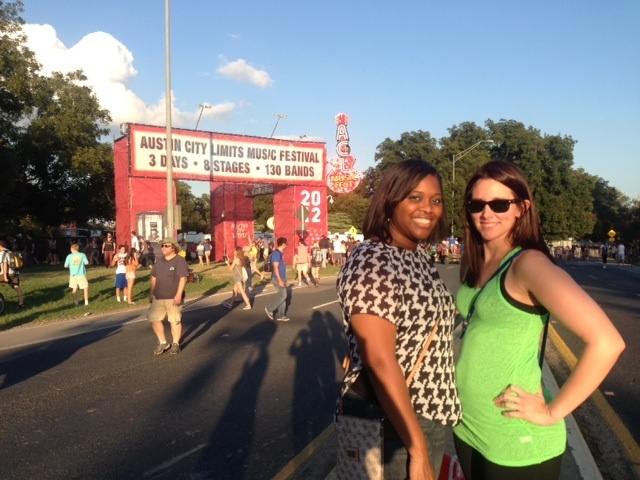 After that we got our wristbands for Austin City Limits. After doing a little work on my laptop, I went back down to the hotel gym to get in a strength workout. 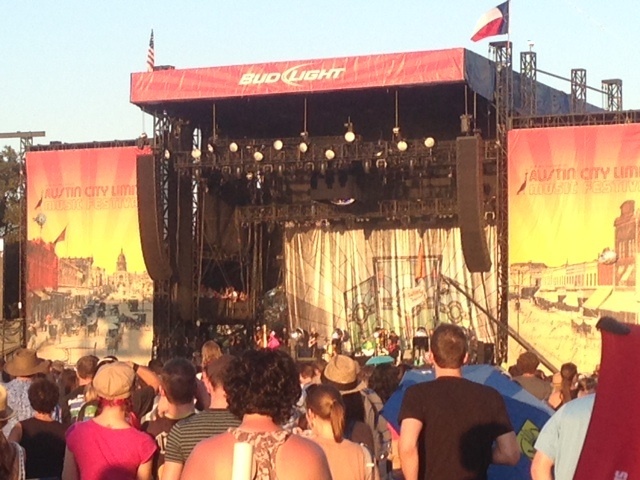 Then it was time to shower and get ready for Austin City Limits. The line up that night included Florence + the machine, which was the main act I wanted to see. Florence was AMAZING. 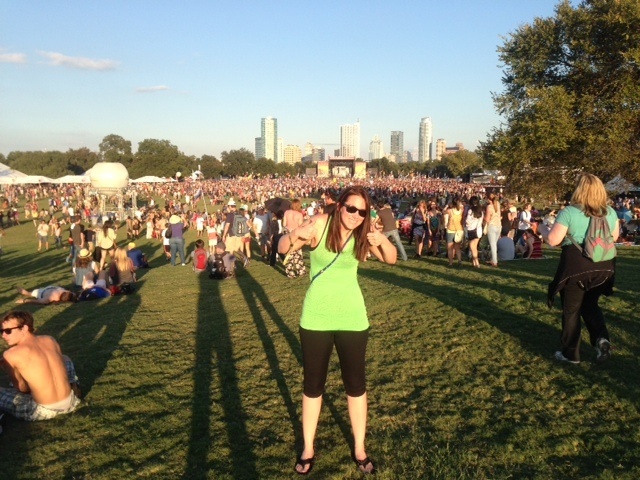 ACL was crazyyyyy. So many people just all over the place. The food was awesome. I was able to try Stubb’s BBQ and good pops (OMG watermelon and agave Popsicle). Since we spent the evening on our feet, I decided to do my long run on Sunday. On Saturday we spent the day sightseeing in Austin. We checked out the UT campus and the art museum. Then did a little shopping. I may have some real Texas cowboy boots now. Saturday night we hung out at the Roaring Fork in our hotel to watch the Carolina game. Unfortunately the Gamecocks just couldn’t beat LSU. Needless to say I was a little depressed. I went off to bed as soon as the game was over. I was glad it when it was over! After two hours on the treadmill I had to pack up my stuff and shower. My Uncle and Aunt were picking me to show me around Austin. We had a great authentic tex mex lunch at Guero’s and then they showed me the highlights of Austin that I didn’t see yet. 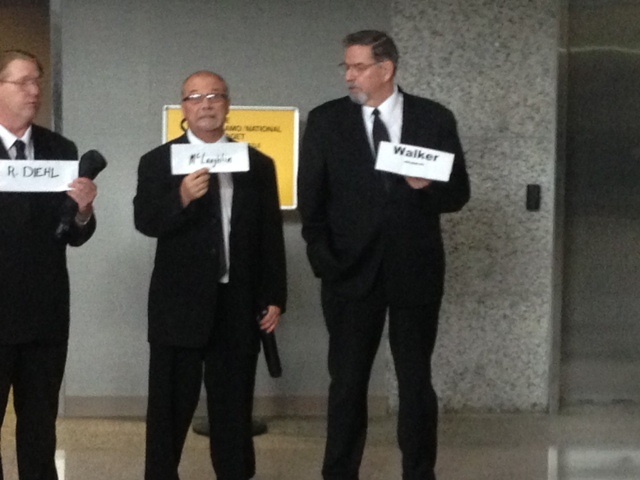 After a fun day, they dropped me at the airport, where I found out my flight was delayed for over an hour. Guess that just meant I had time for one last Texas BBQ meal, so I headed to Salt Lick in the airport and had my last pulled pork sandwich of the trip. I had a great time in Austin and got in all my workouts. I didn’t let migraines or weather get in the way and I got it all done. It’s just crazy how much working out and running has become my lifestyle. I really just had to learn to make it a priority instead of something I could do or not. Looks like you had a great trip! Nice job fitting in those workouts. You said it best, it’s about priorities. I did have a great trip! Austin is such a cool city! And it really is all about priorities and I feel like mine are finally in the right place. Awesome job on the workouts!! I always struggle when I am traveling to get in the sweat. Thanks! I definitely struggled a month ago in Cali, it was nice to get it done on this trip. Way to go on your workouts. I also struggle making time for workouts when traveling. Thanks! If I don’t have a TV I can’t do the treadmill. I try to just do my interval workouts on the treadmill but was stuck there cause of the weather in Austin.